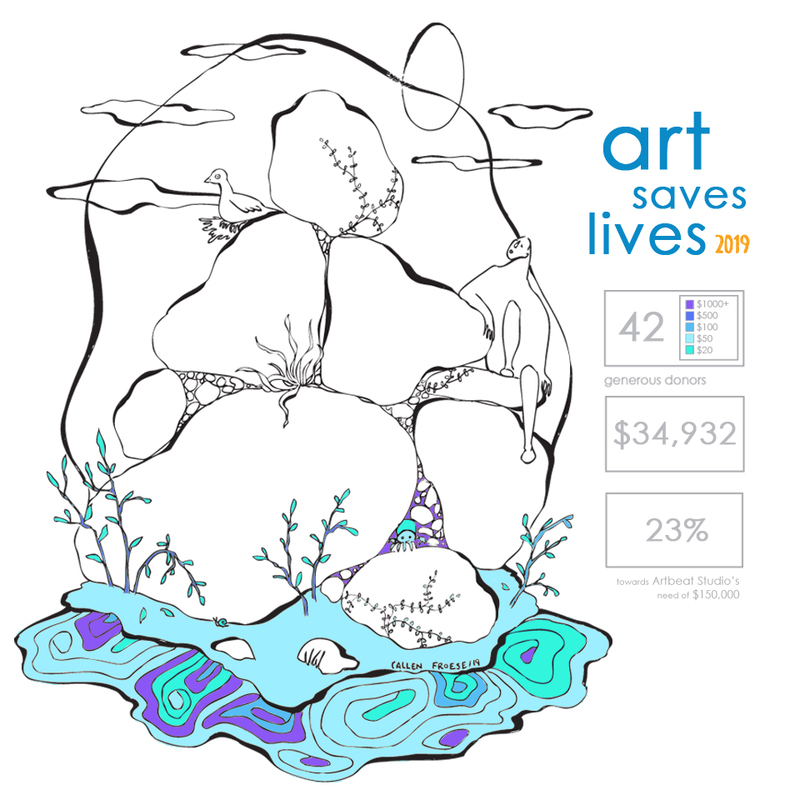 With the Art Saves Lives 2019 fundraising campaign, we ask for your financial support -- donate today to keep Artbeat Studio alive! Our goal of $150,000 will sustain programs that directly benefit individuals living with mental illness, for the purpose of recovery and empowerment. Help us keep our doors open!